The path that passes by Danish Camp forms part of Route 51 on the Sustrans Network. This means that it is a safe ‘off-road’ track that is suitable for walking, cycling and wheelchair use. 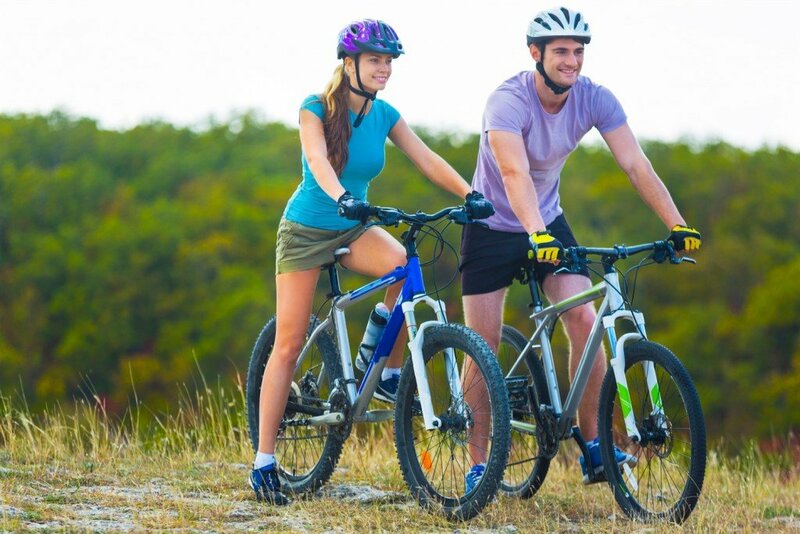 Enjoy riding and walking around the beautiful woodland and river routes and the newly extended ‘circular’ route that can be picked up just opposite the car park at Danish Camp. Routes are clearly signposted for ease of use and are surfaced with either tarmac or firm gravel with easy gradients for effortless cruising. If you wish to rent from us, you will need to complete a ‘Bike Hire’ form. You will need proof of identity (photo I.D.) and be prepared to have a digital picture taken as a form of security. Our current rental rates are shown below. We currently have the adult range of cycles with additional ranges to follow. Adult Cycle Helmet F.O.C. F.O.C. Must be made in full before bikes will be released for hire. We accept payment by cash, debit card or credit card. In accordance with our terms and conditions debit or credit card details will be taken. Please note that card used for payment must be registered to the same address as ‘the hirer. TAG-A-LONGS & CHILD SEATS CAN ONLY BE HIRED WITH DANISH CAMP CYCLES AND ARE NOT AVAILABLE FOR HIRE SEPARATELY. We have a number of ultra-safe boats for hire on the river. Powered by Electric outboard motors, they are each suitable for up to 4 adults or 2 adults and three children. We provide buoyancy aids free of charge and the river provides a safe environment for bird and wildlife spotting and easy cruising for a minimum of 2 miles in each direction. There’s no need to book – just turn up! Please note that boat hire may not be available if river or weather conditions are not suitable.